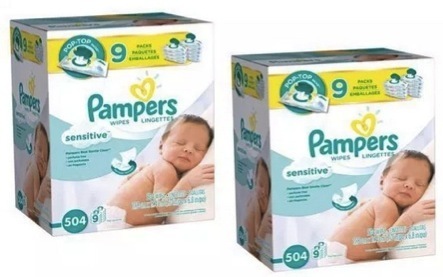 Pampers Sensitive Wipes (9 Pack) only $11.49 at Target, plus more! Wow! Head to Target this week to take advantage of these great deals on Pampers and Huggies baby wipes! This week, Target is offering a free $5 Target gift card when you purchase two participating baby wipes – both in-store and online! $11.49 each or $1.28 per pack of wipes! $11.59 each or $1.05 per pack of wipes! « Fitbit Alta Fitness Tracker just $89 shipped!